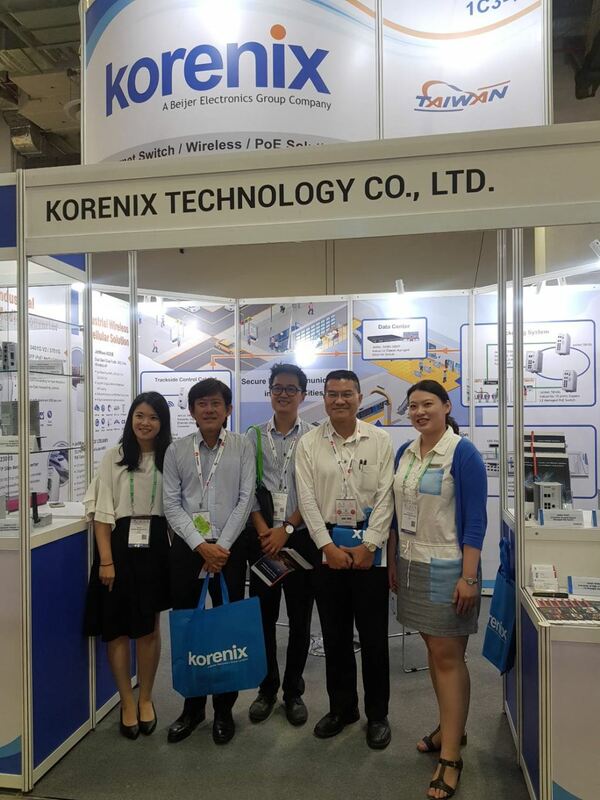 Korenix Technology has successfully exhibited at the CommunicAsia 2018 from 6/26 to 6/28 in Singapore. More than 15 products were presented at the show including Industrial Managed/Unmanaged Ethernet Switches, Industrial Managed/Unmanaged PoE Switches, Industrial Wireless & Cellular Solutions, and Industrial Media Converters. The products are designed for various types of IIoT applications and can be integrated into a single network or multiple networks and in wired or wireless format. 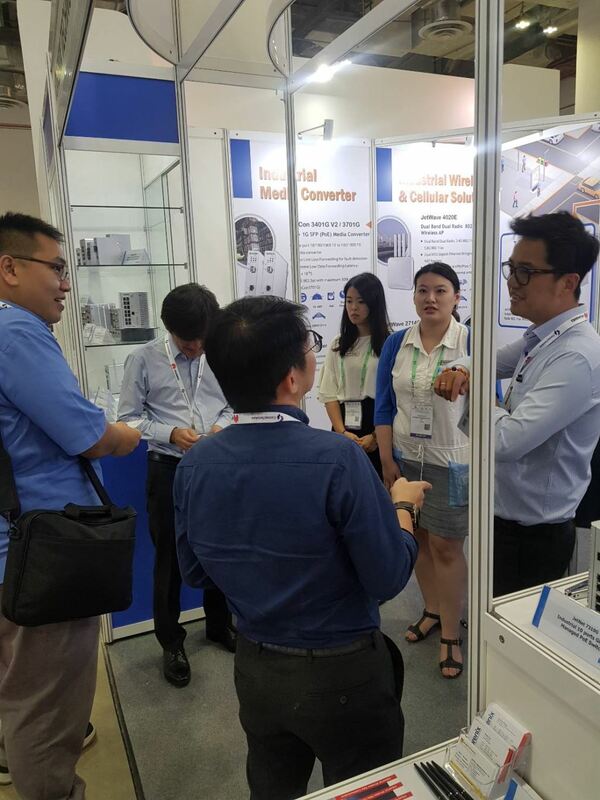 Among all products presented, Korenix Industrial Fast Ethernet/Serial IEEE 802.11 b/g/n Wireless AP- JetWave 2212 series and Industrial 16 GbE, 4 GbE/SFP L3 Managed Switch- JetNet 7020G were most appreciated by the visitors. The JetWave 2212 series is designed for applications such as Automated Warehouse, Automatic Car Park Control System, Petrochemical Industry, and Smart Transportation. The users can choose among JetWave 2212X with the Fast Ethernet port, JetWave 2212S with the Serial port, and JetWave 2212G with the Gigabit port according to the requirement of specific applications. On the other hand, the JetNet 7020G is designed for Smart Transportation as a backbone solution which presents high performance on reliable data transmissions. Besides the numerous products presented at Korenix booth, the brand new Korenix JetNet 7000 series product launch was held on the first day of the event at the Xperience Zone. Korenix Global Sales- Justine Wang gave an introduction of Korenix key products and core values at the beginning of the speech, and then brought out the brand new JetNet 7000 series which attracted participants mainly from Transportation Industry.